Berlin, 9 March 2018 – The Berlin-based consultancy Crowdconsultants 360 GmbH is the biggest winner at this year’s German Stevie Awards. It won 12 trophies including ten golden, which is unique in the history of this business award. The award ceremony will take place on 27 April 2018 at the Hotel Adlon in Berlin. “We have only been at the start for less than two years and are therefore very happy that our pioneering of Consulting 4.0 has received such broad recognition”, says Damiano Albrecht, Managing Director and one of the founders of Crowdconsultants. Golden Stevie Awards went to Damiano Albrecht as Manager of the Year both in the category “Internet/New Media” and “Business Services” and to Chairman and majority shareholder Peter Bachsleitner as “Entrepreneur of the Year” and “Entrepreneur of the Year Business Services”. The HR team, which relies on a common digital infrastructure for part-time staff with flexible working hours at various locations, also received two Gold Awards. 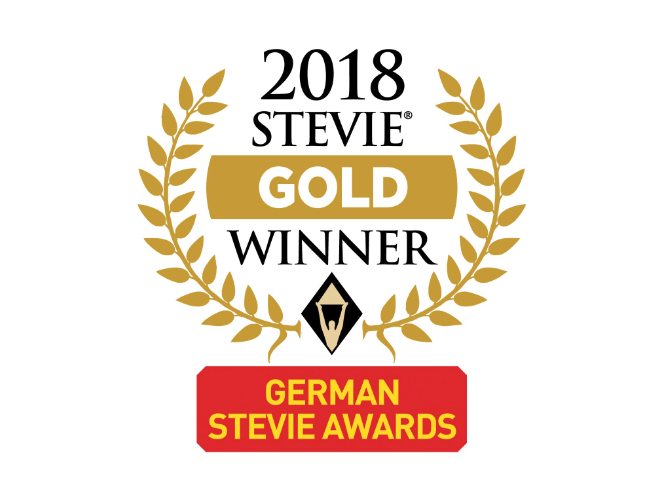 The entire management team, which includes Albrecht, Bachsleitner and Torsten Ecke (partnerships) plus Stefan Heidloff (CIO), won a silver Stevie Award. Crowdconsultants also received Golden Stevies in the categories “Startup of the Year”, “Company of the Year Industrial Services” and “Best New B2B Service” and as “Fastest Growing Company of the Year with up to 100 employees”. The jury was impressed by the innovative business model: Firstly, the project-specific recruitment via crowdsourcing in social media and the company’s own network. Secondly, the intentionally cross-generational project teams of young digital experts and former top managers. Thirdly, the consistent digitization and virtual infrastructure based on sharing economy principles. This enables to support clients in recruiting, consulting and implementation much more agile, sustainable and with more attractive conditions than by traditional consulting firms. Crowdconsultants 360 GmbH was founded in summer 2016 in Berlin by Digital Natives Damiano Albrecht and Stefan Heidloff and former Top Executives Torsten Ecke and Peter Bachsleitner. They see themselves as a cross-generational, cross-industry and cross-functional management consultancy and recruitment agency that consistently focuses on digitisation, crowdsourcing and sharing economy principles. The company is financed by bootstrapping and the cash flow generated so far from engagements with several start-ups and renown organisations such as BorgWarner, ESA, ING Bank and Koenig und Bauer. 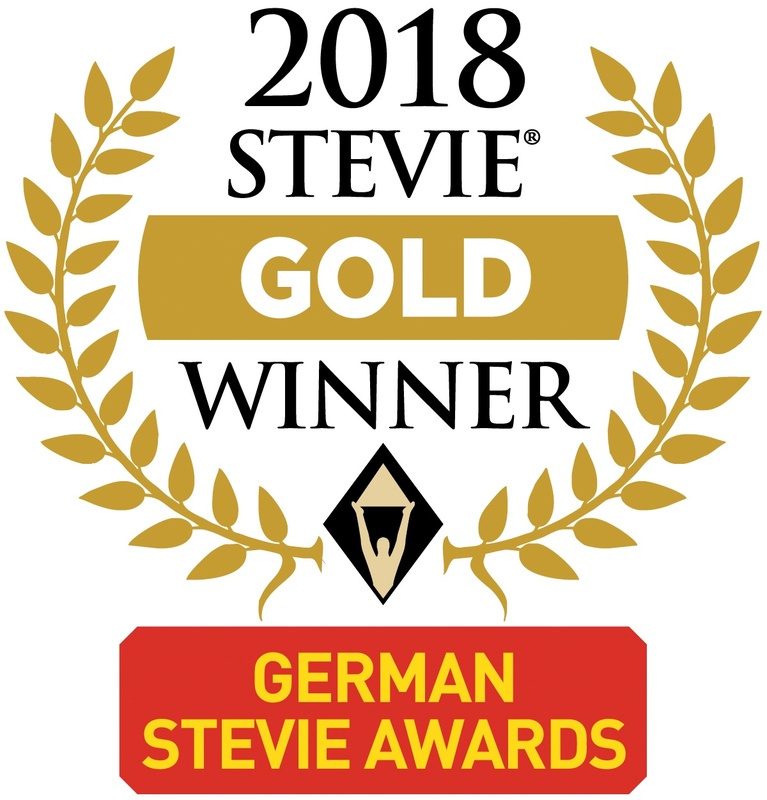 The German Stevie Awards are the most all-inclusive business awards in Germany and are now in their fourth edition since 2015. They are one of the Stevie Awards programs, which are widely considered to be the world’s premier business awards, conferring recognition for achievement in the workplace. All organizations in Germany were eligible to submit nominations. The award ceremony will take place on 27 April 2018 at the Hotel Adlon in Berlin. Stevie Awards are conferred since 2003 in now seven programs: the Asia-Pacific Stevie Awards, the German Stevie Awards, The American Business Awards, The International Business Awards®, the Stevie Awards for Women in Business, The Stevie Awards for Great Employers, and the Stevie Awards for Sales & Customer Service. Stevie Awards competitions receive more than 10,000 entries each year from organizations in more than 60 nations. Honoring organizations of all types and sizes and the people behind them, the Stevies recognize outstanding performances in the workplace worldwide. More about the Stevie Awards at www.StevieAwards.com and the winners of the German Stevie Awards at www.StevieAwards.com/gsa.